Today, 3/21 only, Best Buy has the Miroir Element DLP Projector on sale for only $119.99 (Reg $149.99) shipped. 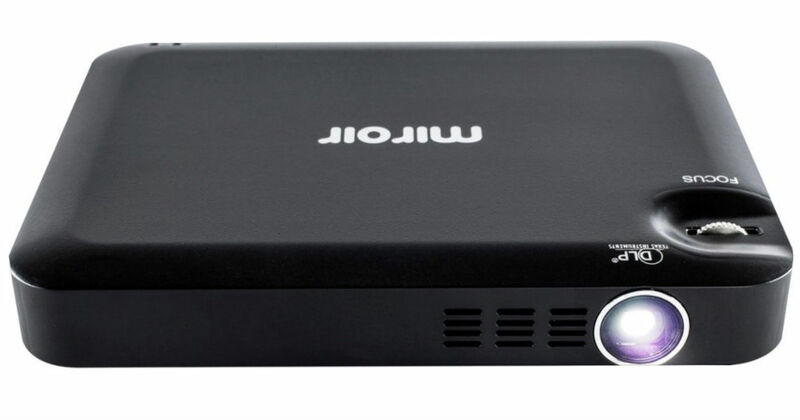 Screen mobile content with this Miroir micro projector. It produces an image size of up to 50 inches for a large-screen HDTV-like appearance, and it has built-in speakers and a 3.5mm port for flexible audio setup.